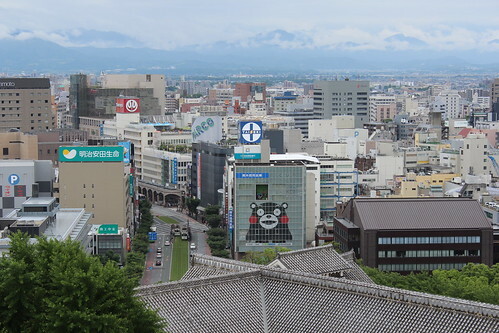 In June we had a whistle stop tour of Kumamoto, we flew there, stayed on night and came back. Why? 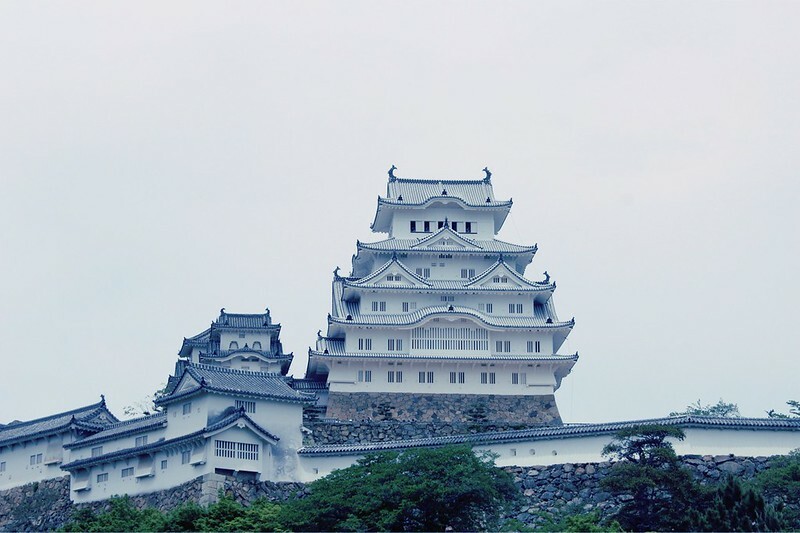 Becuase with Peach airlines I found return flights for less than 7000yen each. 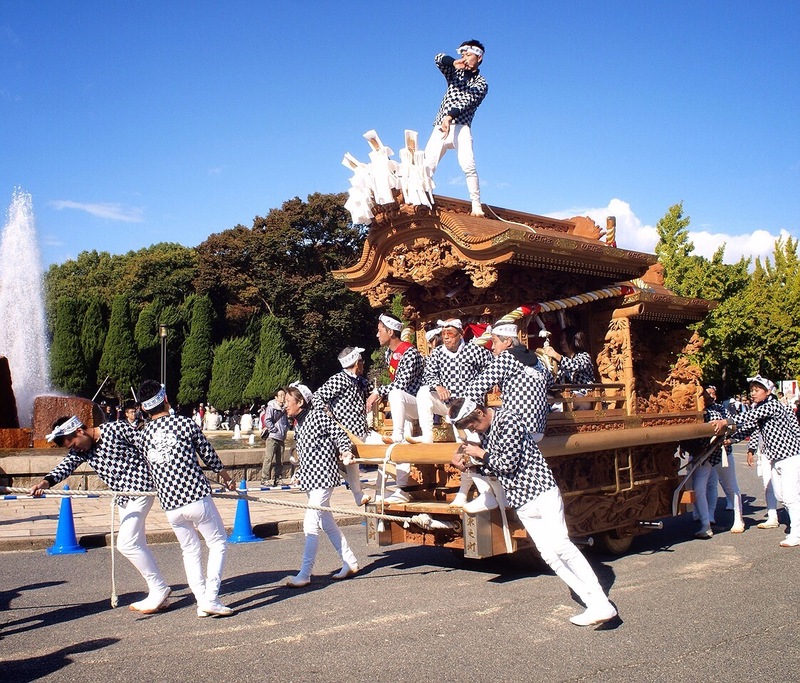 This week I day tripped to Hikone! 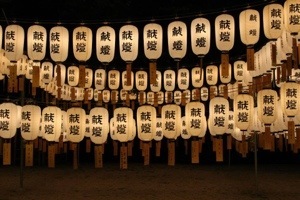 On our walk from Hikone station to Hikone Castle we saw a shrine with lots of paper lanterns set up for O-bon. 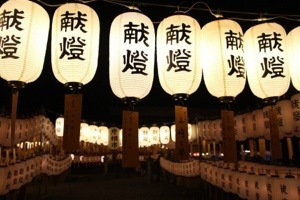 It was so pretty, there must have been more than a thousand lanterns! 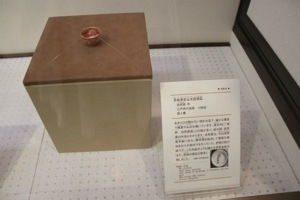 At the castle we bought a ¥1000 ticket to the castle, castle museum and Japanese garden. 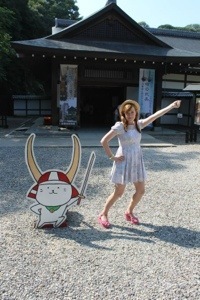 Before going to the museum I got my picture with Hikonyan! 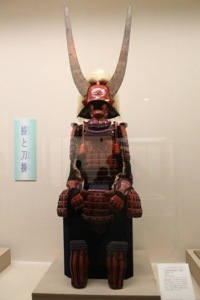 The castle museum had the usual display of old photos, swords, samurai outits, ceramics and kimono. But there were just a few of each thing as if they’d just selected the very best! 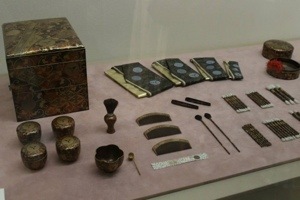 They had some noh masks on display and the wonderful eyebrow makeup set above. 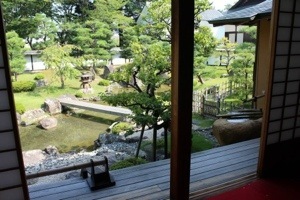 There is a noh theatre stage in the middle and you can stop at one side of it for some wagashi and matcha tea. 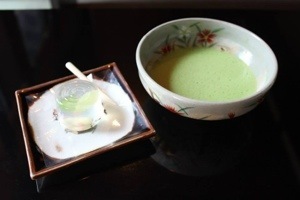 The wagashi was one of the cutest I’d ever seen – jelly with a koi fish in it! Around the corner from the tea room you can view the garden. 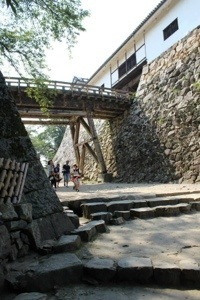 Then it was an uphill walk from the castle museum to the castle itself. 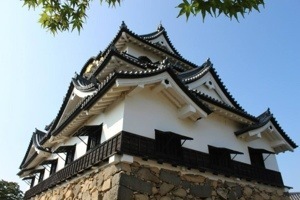 The castle is pretty small, you can go inside, and it’s another slog uphill up traditional steep steps inside. It was very hot and busy when we went so I didn’t get any pictures. 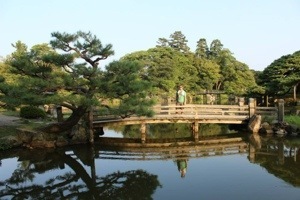 Before we knew it we’d spent 3 hours in the castle grounds so decided to leave and visit the Japanese garden. It was pretty but not overly spectacular. We walked to Castle Road next for some food, there wasn’t a lot of choice or many shops though. 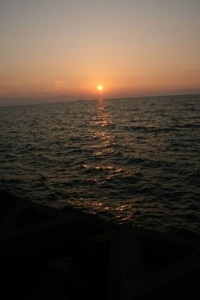 Afterwards we walked to the edge of Lake Biwa to watch the sun set. 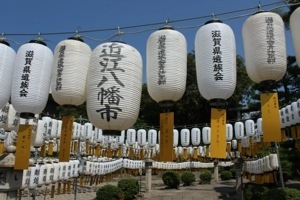 And on our way back to the station we revisited the shrine we saw earlier. 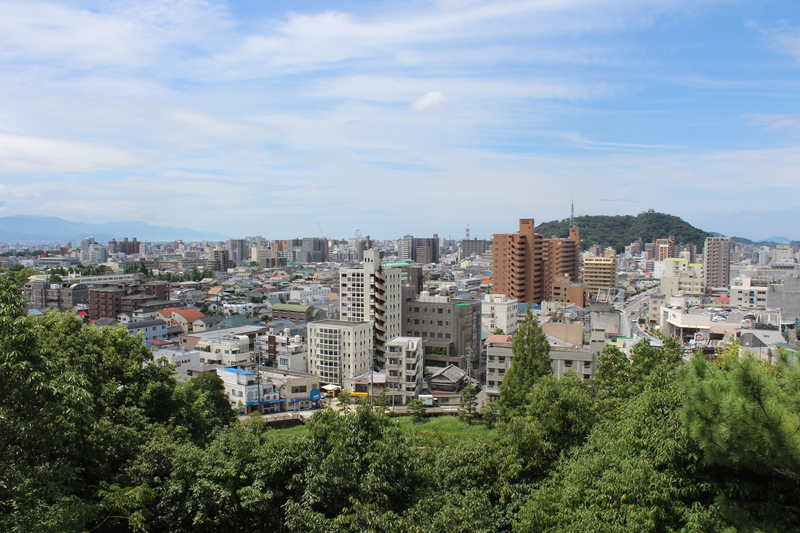 We had a lovely day out, I think we saw pretty much all Hikone has to offer, we couldn’t take a boat trip on the lake though as they finished at 3pmish. 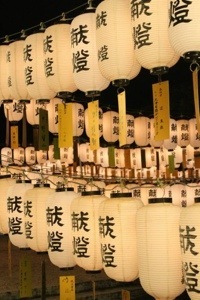 The best part of the trip was seeing all the Hikonyan things and the lanterns at the shrine.